Electronic Arts reports that digital sales are way up and boxed sales are way down in the first quarter of its 2014 fiscal year. The numbers are in for the first three months of EA's fiscal 2014, and they're actually not terrible. They also reflect the ongoing trend toward digital sales: GAAP net revenues for digital sales hit $482 million for the quarter, compared to $342 million over the same quarter last year, while packaged goods added up to $452 million, down dramatically from $592 million the previous year. Total GAAP net revenues for the quarter were $949 million, a slight drop from $955 million in FY2013. EA had particular success with FIFA 13, which earned $70 million in net revenues over the quarter, a 92 percent increase over FIFA 12 in the first quarter of FY2013, while FIFA Online 3 net revenues were up 88 percent over FIFA Online 2. Mobile and handheld digital revenues were up 30 percent year-over-year to $103 million, and EA claimed to be the top publisher in Western retail markets for the calendar year and the top global publisher of iOS games for the quarter. "EA had a solid quarter driven by continued digital growth and disciplined cost management," said Executive Chairman Larry Probst. "We are also executing on a clear set of goals for leadership on mobile, PC, current and next generation consoles." 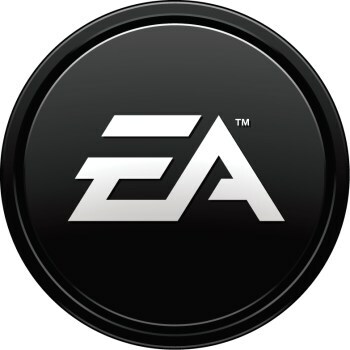 Chief Financial Officer Blake Jorgensen added that EA was reaffirming its non-GAAP guidance of $4 billion for the 2014 fiscal year.